The Enchanted Forest – Accepted! The writer’s life is filled with rejection, but this week I was thrilled to receive some wonderful news – another accepted writing submission! My poem, The Enchanted Forest, will feature as part of ‘The Switch On’, an “all-day festival of the written word” taking place in Dumfries on 30th November to coincide with the switching on of the Christmas lights. The festival, along with other events happening over the weekend of 28th/29th November, are being organised by The Stove in collaboration with WagTongues. More information can be found here. My poem was inspired by my real-life trip to the Enchanted Forest in Pitlochry, Perthshire. 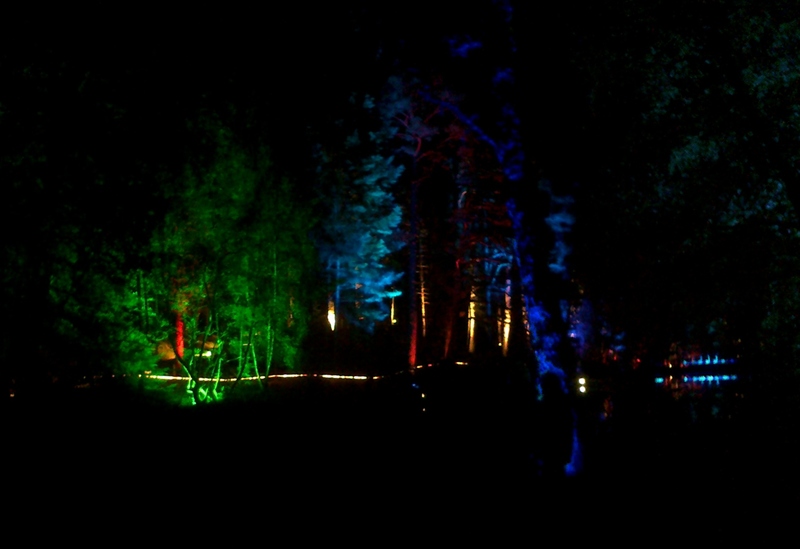 My husband and I visited as part of our honeymoon in 2012 and it was a truly magical experience seeing the dark forest illuminated by thousands of lights in every colour, some accompanied by music, and of course the obligatory pause next to the mulled wine stall before we left! Months later, looking back over photographs and still getting that tingle of magic, I wrote a short poem to try to capture it – and last month when I saw The Stove’s open call for writing on the theme of ‘Light and the Senses’, I knew immediately what I would submit. The Switch On takes place on Monday, 30th November 2015. If you go along, please let me know what you think – especially if you hear my poem!